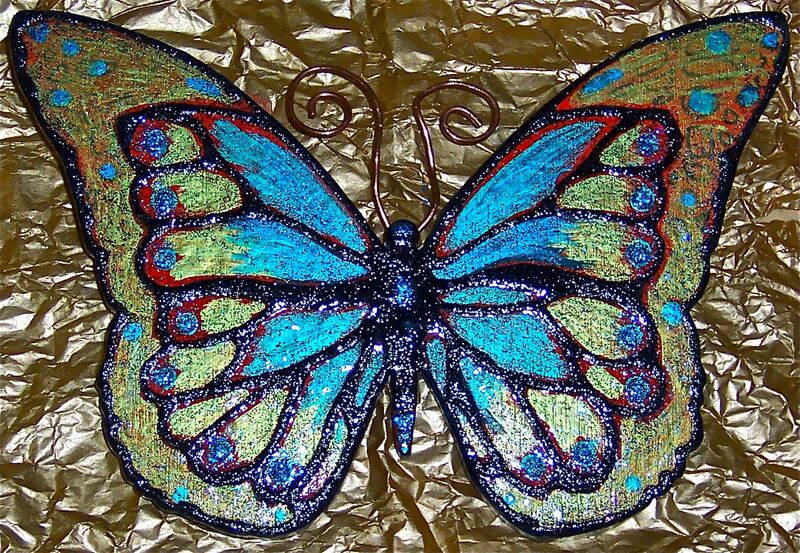 Rebirth Butterfly hand carved wood painted in iridescent shades of blue, green, and gold... with sparkly black glitter and copper wire antennae hanger. 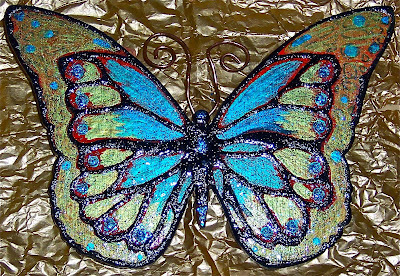 Artfully finished on both sides for 360 degree viewing! Approx. 8"W x 6"H. Zoom for detail. Copper Rose & Dragonfly framed in iridescent blue, green, and copper painted frame. Approx. 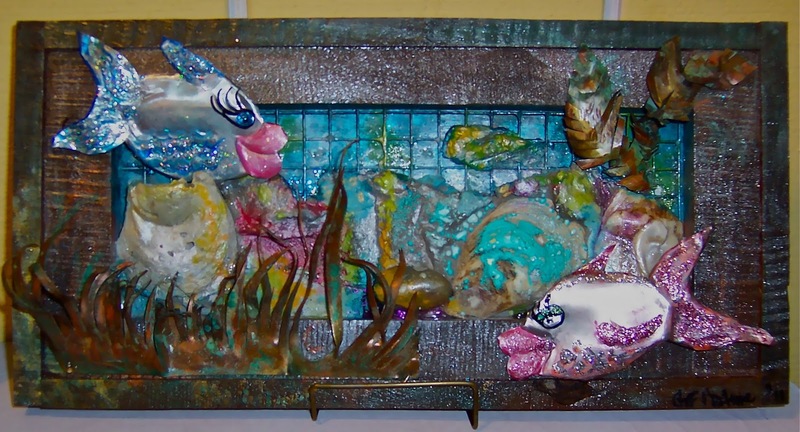 9"W x 28"H.
Under Sea Kisses... dimensional 'underwater' scene of silvery kissy fish (shaped from recycled aluminum cans) swim amidst pearlized oyster shells and copper seagrass. Approx. 8"H x 14"W. Zoom for detail.